The Speleo Club Berlin is a small caving club of cavers from Germany’s capital and surrounding region. 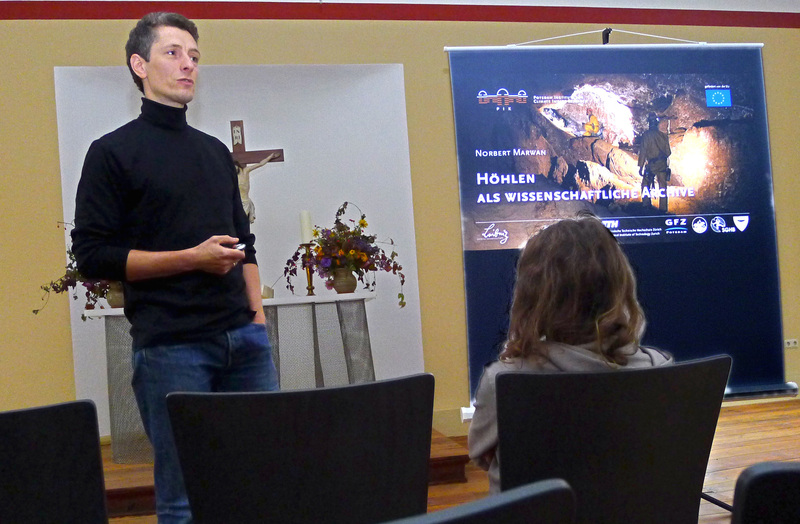 At the 20th anniversary of this club in the assembly hall of the “Radfahrer-Kirche” in Kienitz at September 23rd 2017, Norbert gave a public talk on several scientific aspects of cave research, including speleothem based palaeoclimate studies as performed within QUEST. The audience, consisting not only of speleologists but also of the curious public, has been very interested and enquiring. 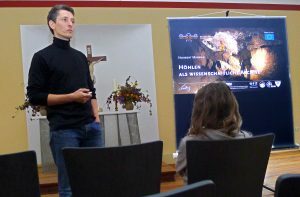 Norbert presenting at the 20th anniversary of the Speleo Club Berlin.